The Syndney tar ponds in Cape Breton, Nova Scotia—a result of toxic runoff from steel industry coke ovens—are North America’s largest toxic waste site. (1;2; 5) These ponds belong to the Muggah Creek watershed and lie in the urban area of Sydney, impacting more than 25,000 residents within a four-kilometre radius. (2) Recently, Canada’s Supreme Court rejected a class action lawsuit on behalf of Novia Scotians suffering from negative health impacts linked to exposure to the ponds. (1) Recorded chemicals concentrated above levels permitted by the Canadian Council of Ministers of the Environment health guidelines include arsenic, molybdenum, benzopyrene, lead, antimony, naphthalene, toluene, benzene, tar, kerosene, copper, and polyaromatic hydrocarbons. The concentration of arsenic has been recorded as 18.5% higher than so called ‘acceptable’ levels. (5) Though a $400 million federally funded restoration operation in 2013 buried the benzene and sulfur-containing tar ponds under what is now Open Hearth Park, local residents still have elevated rates of cancer, Alzheimer’s disease, respiratory and heart problems, and birth defects. (1) Nova Scotia has the highest incidence of cancer in Canada, with Cape Breton ranking highest within the province. 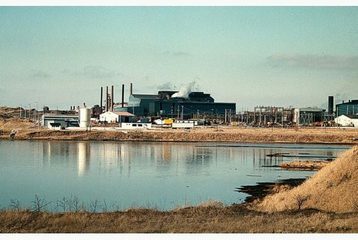 (5) The contamination stems from steel-making operations carried out by the private sector until 1967, and then by the Nova Scotian and Canadian governments until the corporations--Sydney Stell Corporation and Cape Breton Development Corporation—were closed in 2000. 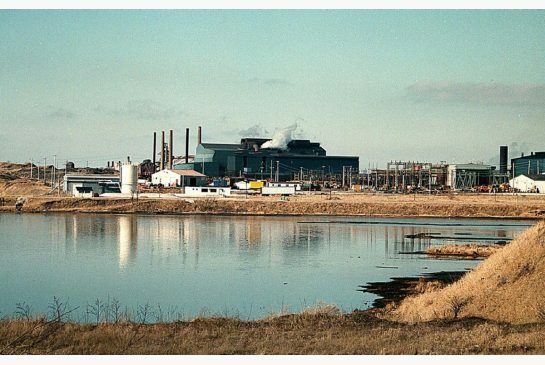 Between 1980 and 2002, the Canadian government spent more than $250 million on cleanup attempts, environmental studies, and steel factory modernizations due to the tar ponds. Development of Alternatives Residents are asking for immediate relocation from Frederick street, where the pollution is the worst. They are also seeking a medical monitoring fund and compensation for the contamination. The Sierra Club of Canada has called for the resignation of Canada's Chief Medical Officer. Why? Explain briefly. The court case has been rejected, and the claimants hit with almost 1 million in legal fees. 1. "A Dark Day for Environmental Justice in Canada." Huffington Post Blog. Ecojustice. Accessed Feb. 3, 2015. 3. The Sydney Tar Ponds Agency . Site accessed Feb. 4, 2015. 2. 2002 October Report of the Commissioner of the Environment and Sustainable Development: Case Study 2.1—The Sydney tar ponds—One of Canada's largest and most contaminated sites. Accessed Feb. 4th, 2015.